The windows received a little pre-Labor Day refresh. The sun beats down so intensely on them during the Summer months, it is really challenging to put much product in them for fear of fading & such. It was fun to fill them up with lots of product this go-round as we head into Autumn. 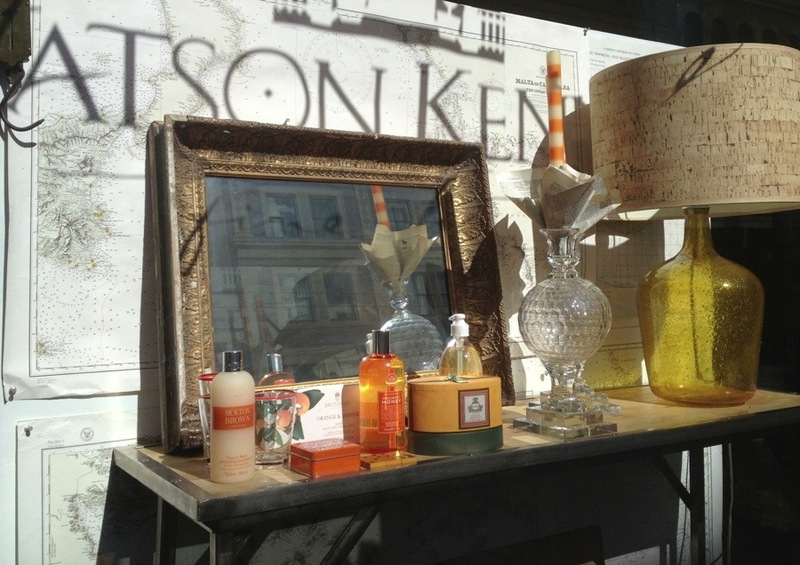 The sunny Friday casting a lovely shadow of the Watson Kennedy sign from the front window onto the display. Orange would be the color choice for this window. 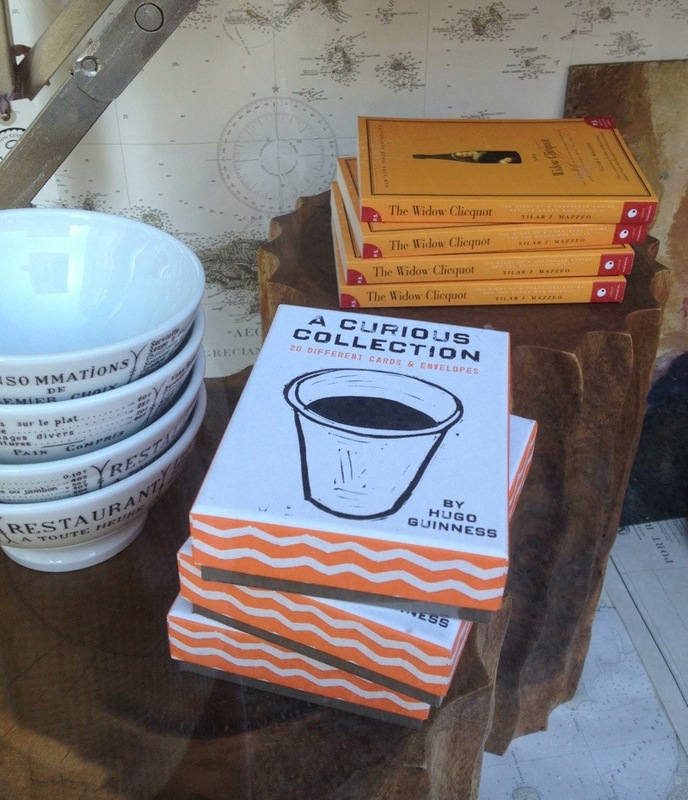 New Hugo Guinness cards along with Veuve Clicquot books to add pops of the color here and there. 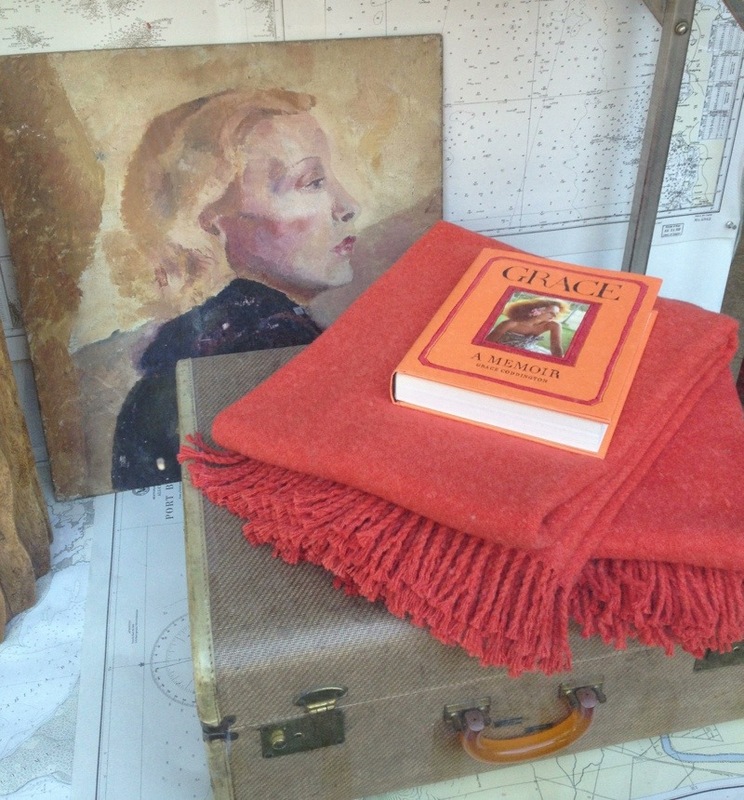 Orange blankets set atop an orange handled vintage suitcase with a Grace Coddington book would make a cozy spot. 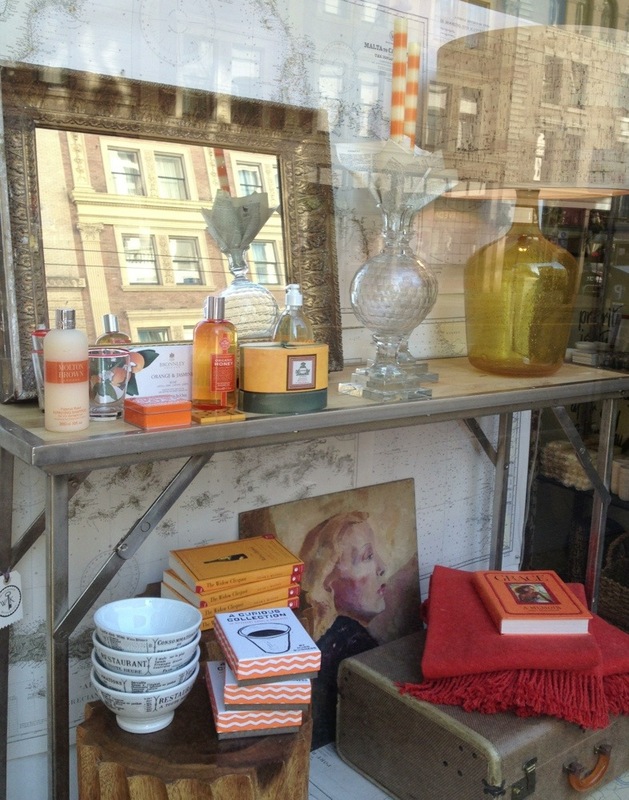 And then more and more orange goods. The lamp base pulling it all together in orange-y bliss. 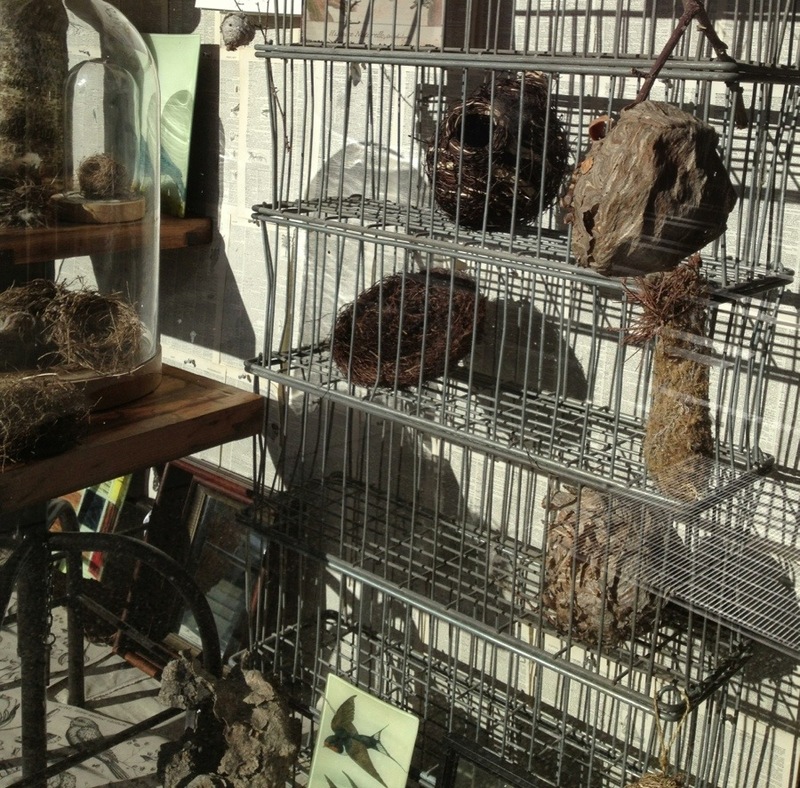 Next up, nests and birds and woody things. 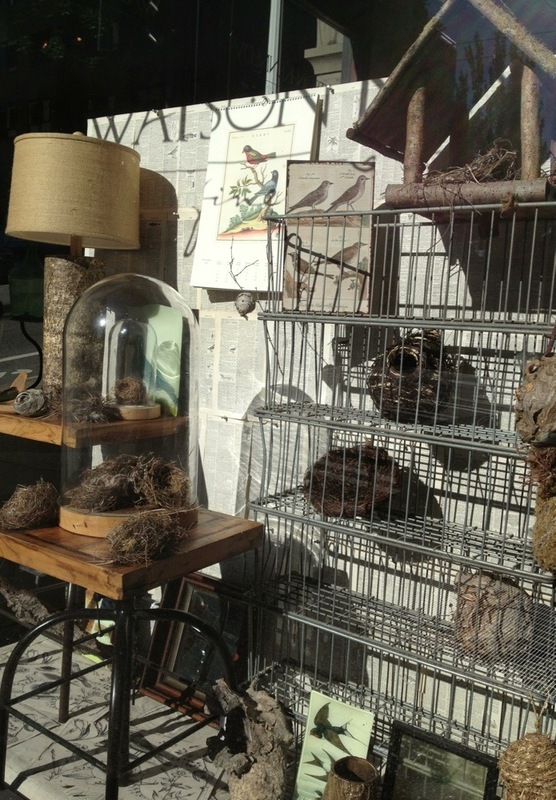 We pulled from our personal collection of bird nests. Many have been gifts over the years. 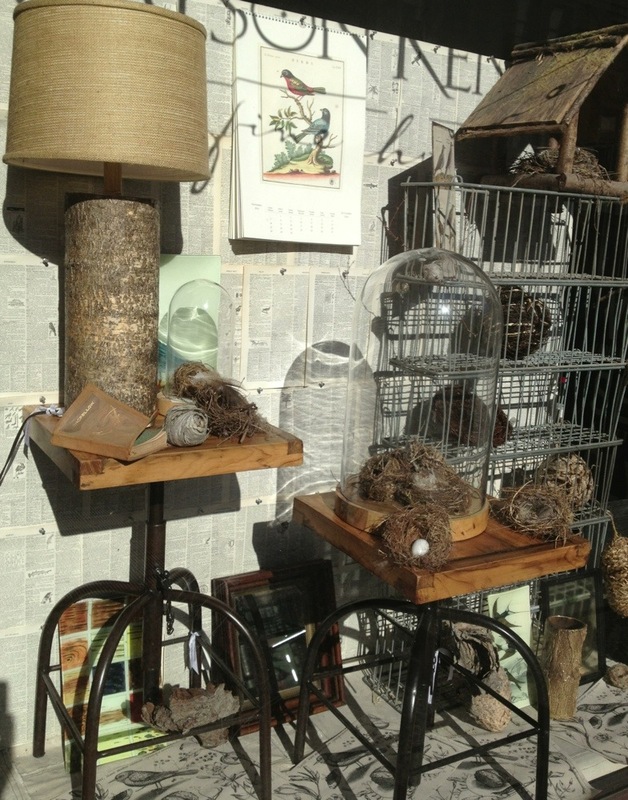 They worked perfectly strewn here and there in the stacking vintage metal baskets. A fun Friday project completed as we head into a busy holiday week-end. Happy Saturday everyone! 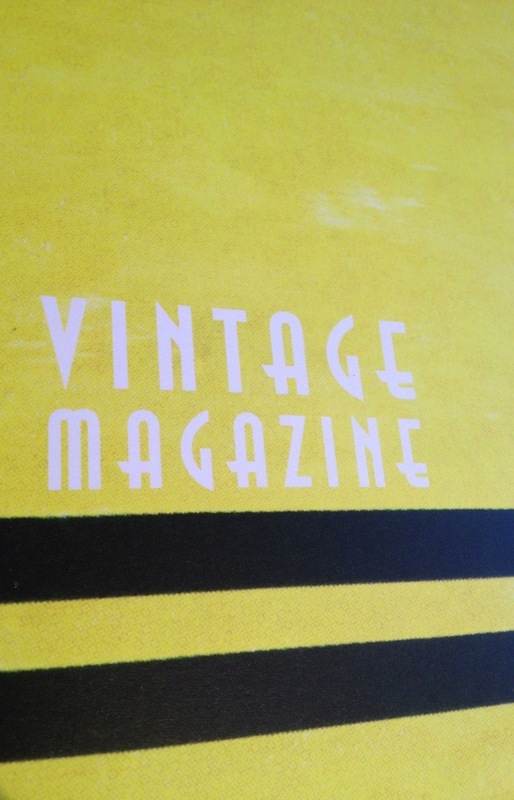 The latest edition of ‘Vintage Magazine’ landed at both shops while we were away. Always fun to come back and see all of the new things that have arrived. 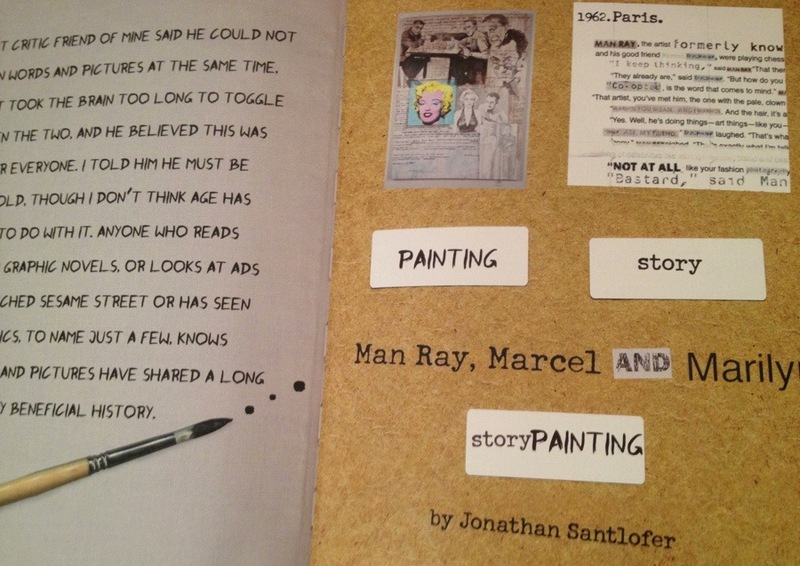 This is really more a small work of art than just a magazine. The paper, the binding, the lay-out, all make for this to be a saved & collected item. This issue the cover was created by ever clever Chip Kidd. 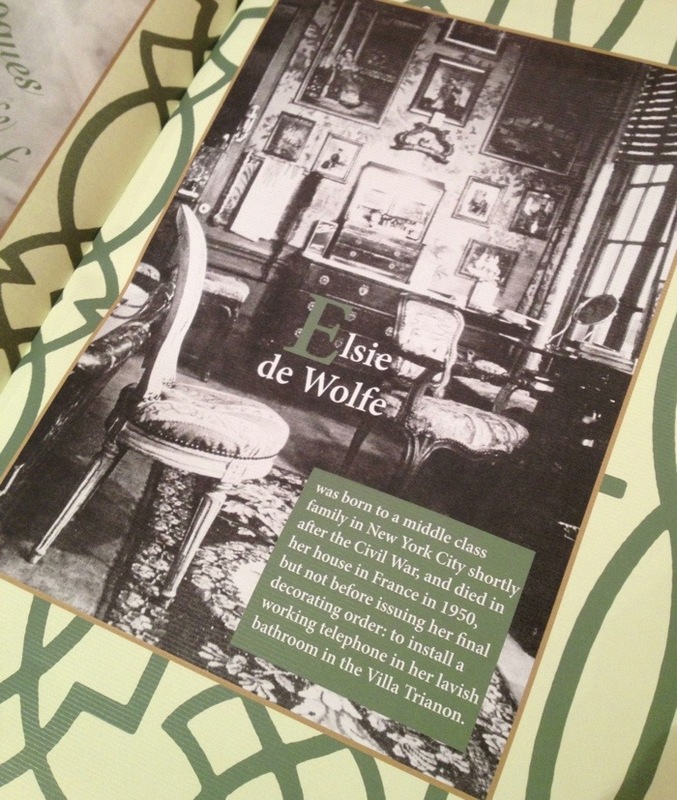 The designing life of Elsie de Wolfe is a glimpse into the world of the design legend. I have always found her utterly fascinating. This article fueled that even further. There is also very cleverly written piece by Lisa Birnbach about living with books that brought a smile to my face, which her writing always does to me. Everything about ‘Vintage Magazine’ is a nod to the creative. Filled with detail after creative detail, from start to finish. 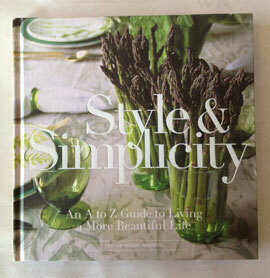 Yesterday morning was spent at the dining room table completing edits I had received from my editor for my book. 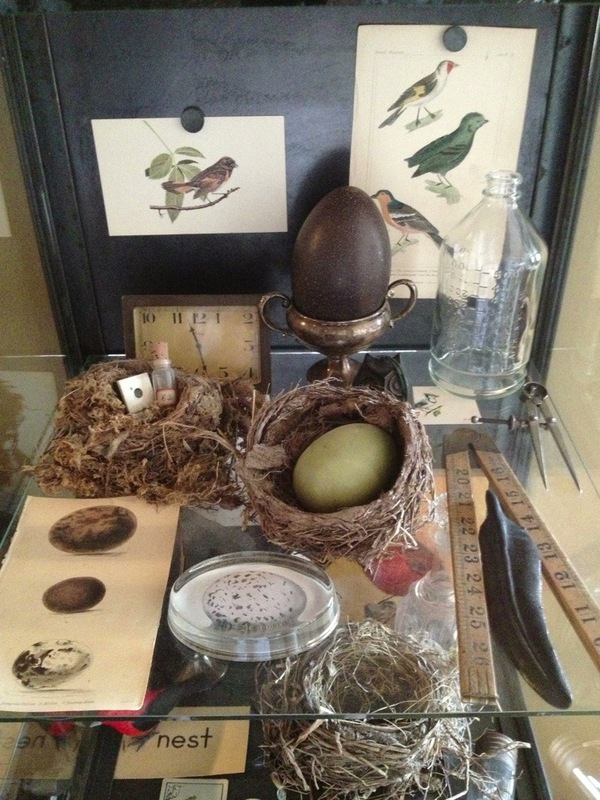 This whole process has been so incredibly interesting–the system/process/routine of creating a book. I needed a few breaks from looking at the pages, so I snapped a few shots of things I really like. This got me thinking of vignettes. And display. Really an essential part of the book. 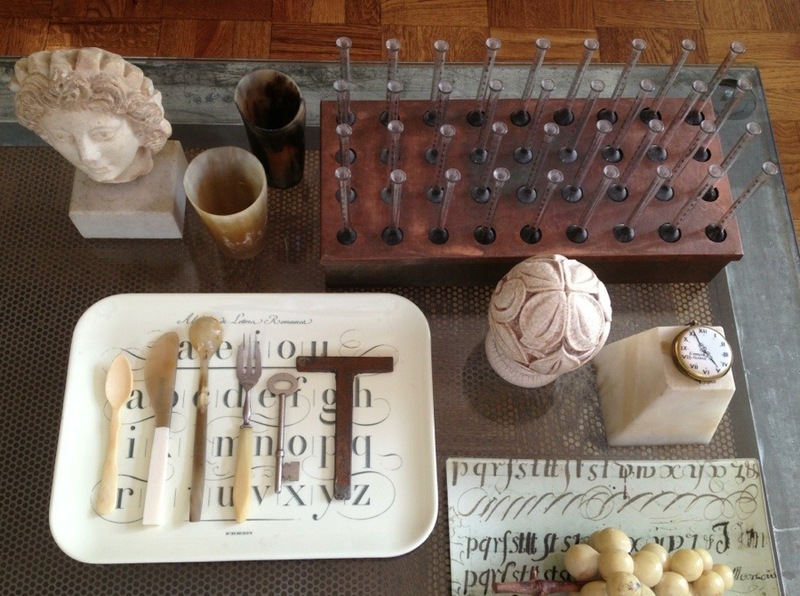 It got me thinking about home and the objects that make up a home, and what those mean to me. I feel your home should envelop you. I feel such comfort when I am in our home. Just being. 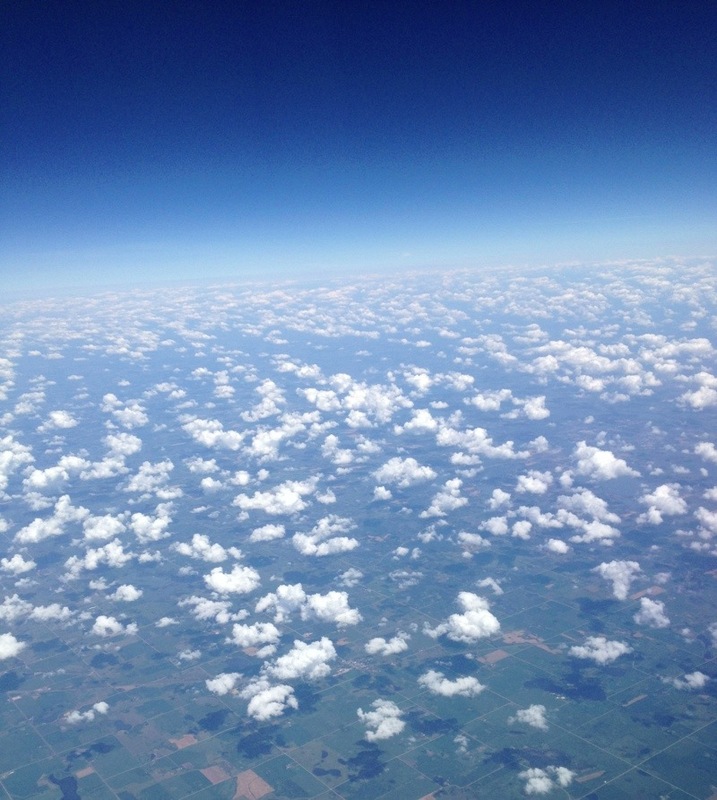 Home can mean something different to each of us. To me comfort is a prevailing theme. Filled up with things that bring us happiness/joy/energy/peace/insert what words first come to mind for you. They are just “things” but they tell our story. They have meaning to us. All put together, they make up our home. 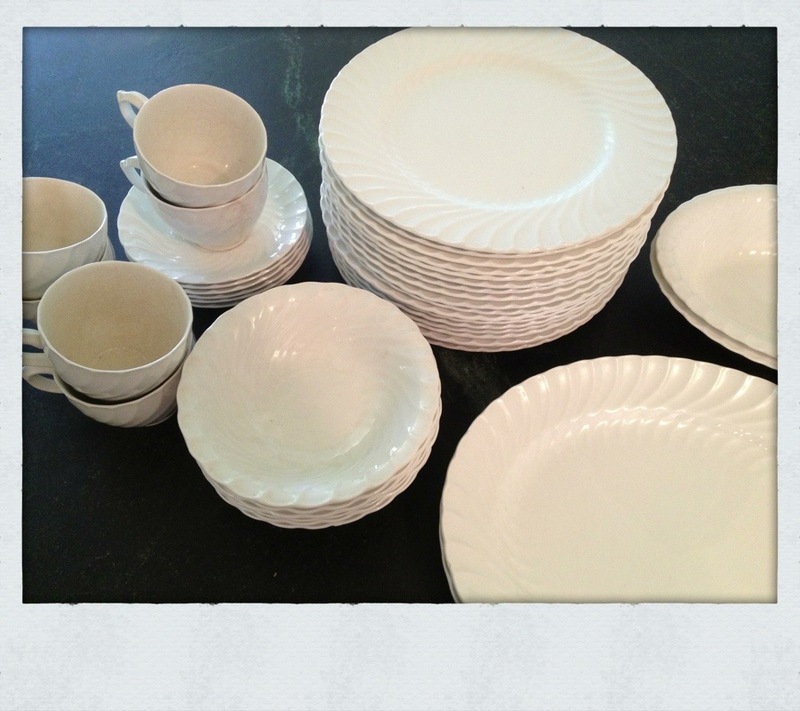 I wrote the other day about buying broken sets of dinnerware and what value you can find. The same is very true for silverware and cutlery. 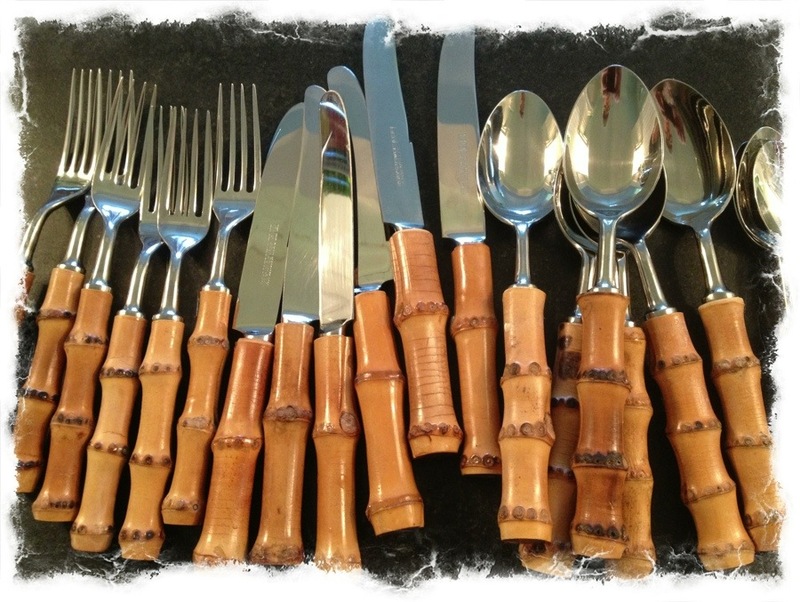 The above vintage bamboo handled set was a recent find that I am still glowing over. The entire vintage grouping was a fraction of the cost of what a new set would be. Often times the lot will be missing a piece or 2, which brings down the price of the set considerably. 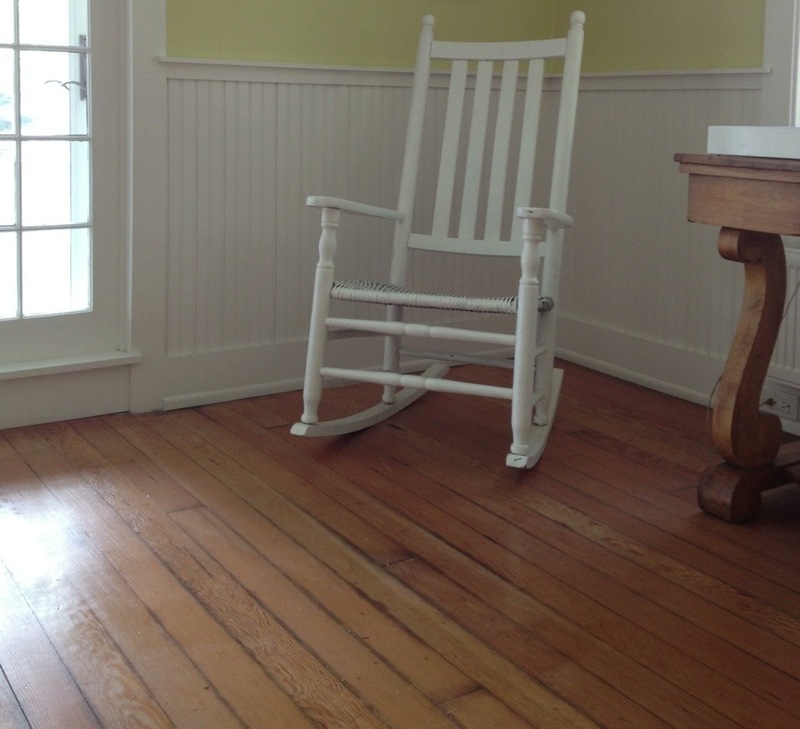 A few missing pieces from a large grouping can mean a serious deal in the end. 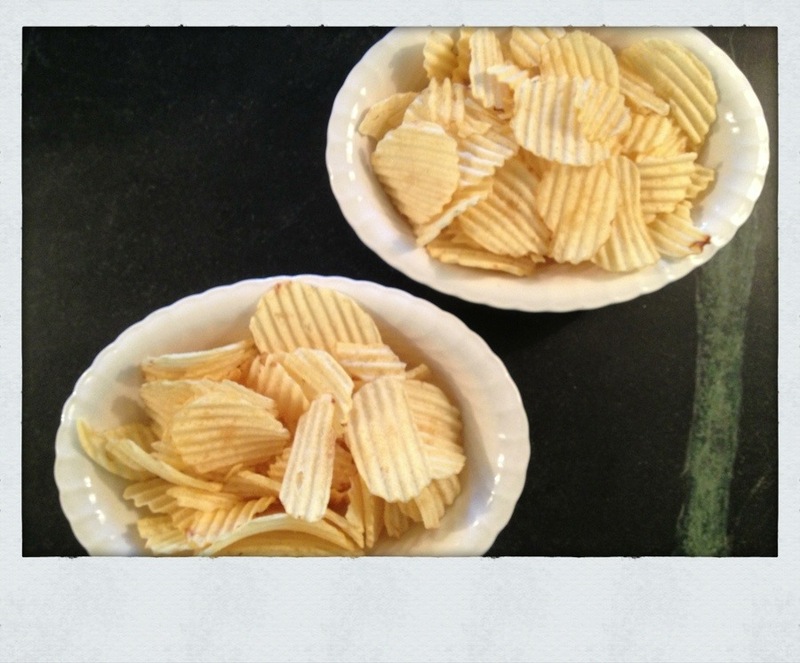 In this case, we were thrilled to have 6 place settings and were fine with it not being a complete 8. We arrived back to Seattle late last night to the arrival of a big stack of magazines that came while we were away. This makes me very happy. I love magazines. Always have. Just something about getting lost in the pages. Dreaming. I also think they help me to stay current on design, food and a whole host of other topics. There is just something about settling in with a new issue of a favorite magazine that can be so relaxing and revitalizing at the same time. Print is by no means dead. It is very alive and thriving. I was so excited to read thru the September issue of Vogue on the plane, I bought it at the airport–all 902 pages of it. 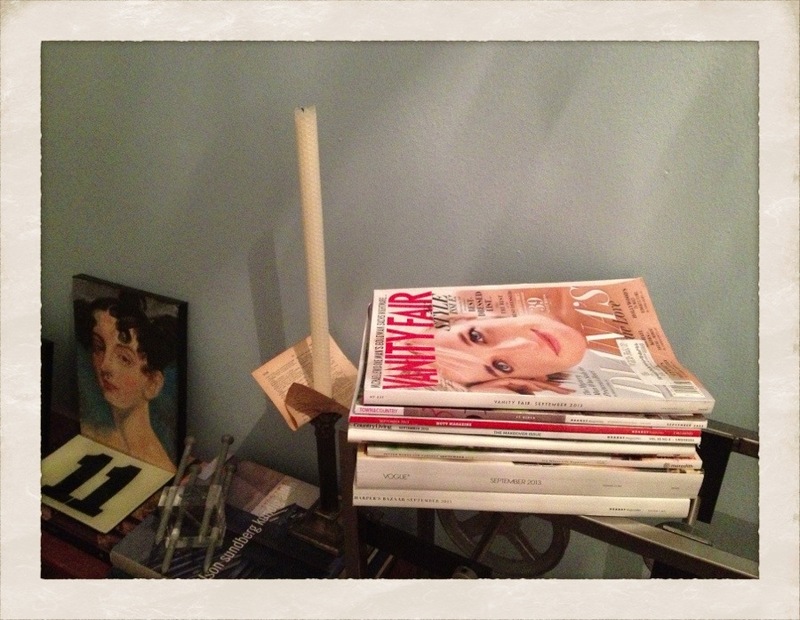 Of course it was the first magazine I spotted in the stack when we arrived home. The issue is so heavy, I can use the pair of matching magazines as weights. We head back to Seattle tonight. It has been a glorious trip of being at Hawthorne and being in the city. A combination I quite love. 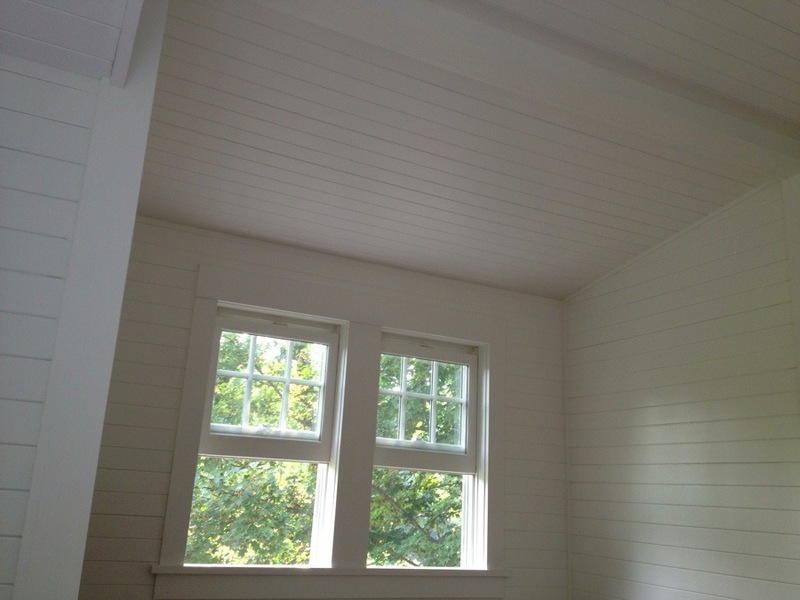 We had a stretch of days where we could continue to dream & scheme, measure and chat about how we want the house to be. We are ‘list’ people. Many things were crossed off, many more were added. Filling a home takes time and we are determined to enjoy the process, not let it stress us out. Plus, homes that really speak to me always are quite layered. Things have been collected over time. Objects have stories. Here is the beginning of ours. 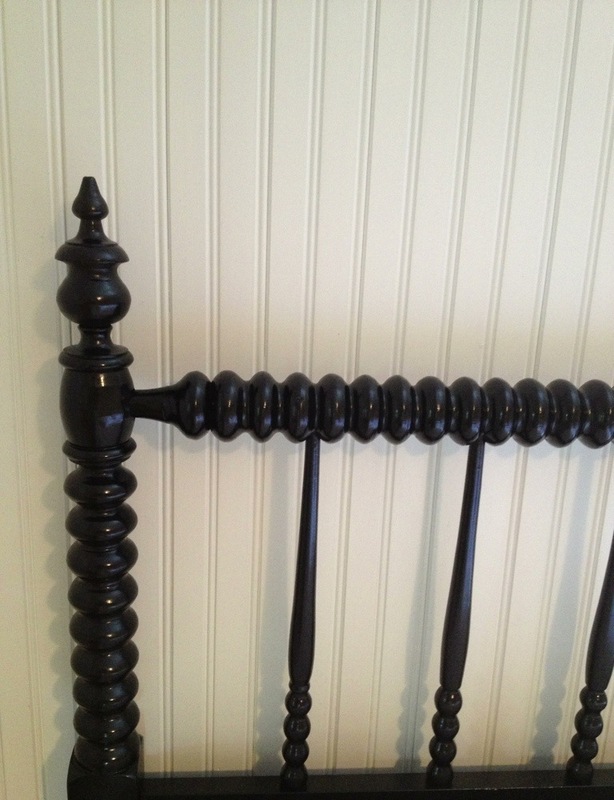 The above headboard was given a high gloss black treatment. We bought an antique daybed from the gentleman we bought the house from. Instead of using it as a daybed, we turned it into 2 headboards for twin beds in the guest room. I am quite happy how they turned out. 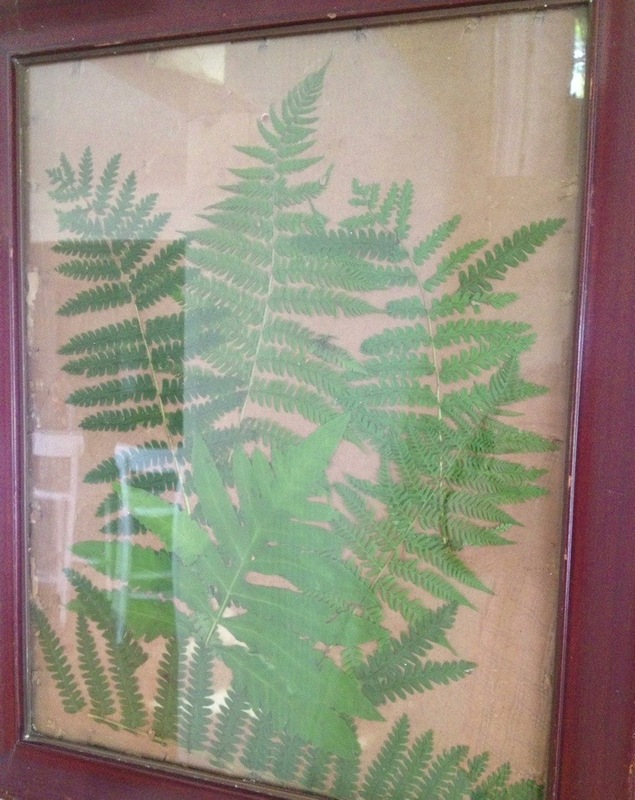 Our friend CoCo came up on the train with me from the city for a few nights and picked ferns from the back of the house and made a little piece of memorable art for us in a vintage frame we had. 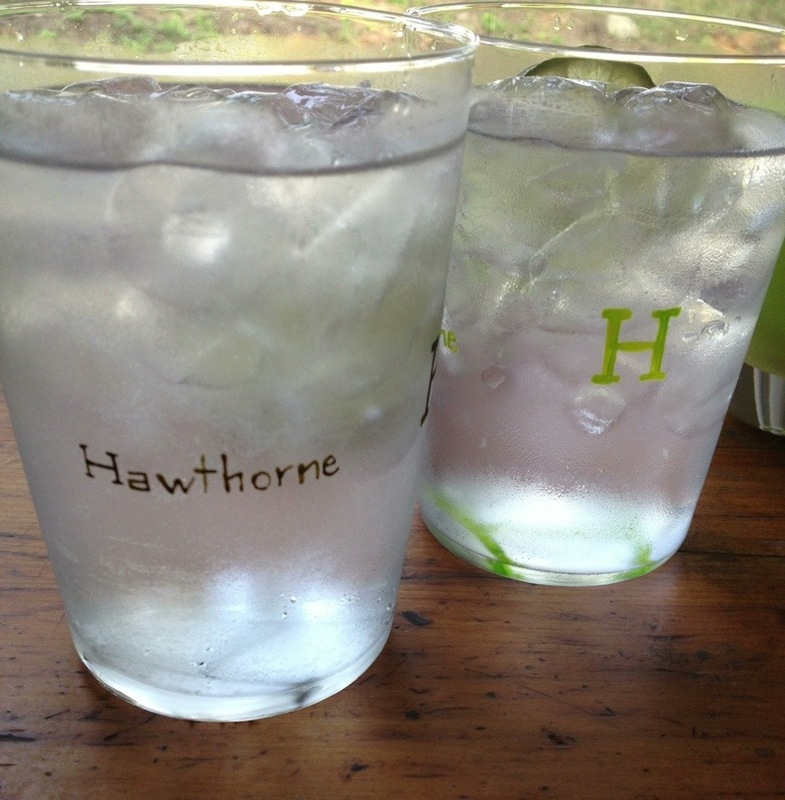 Margot Lar, an artist I met on Instagram hand painted glasses for us which I am just tickled about. She used varying greens. 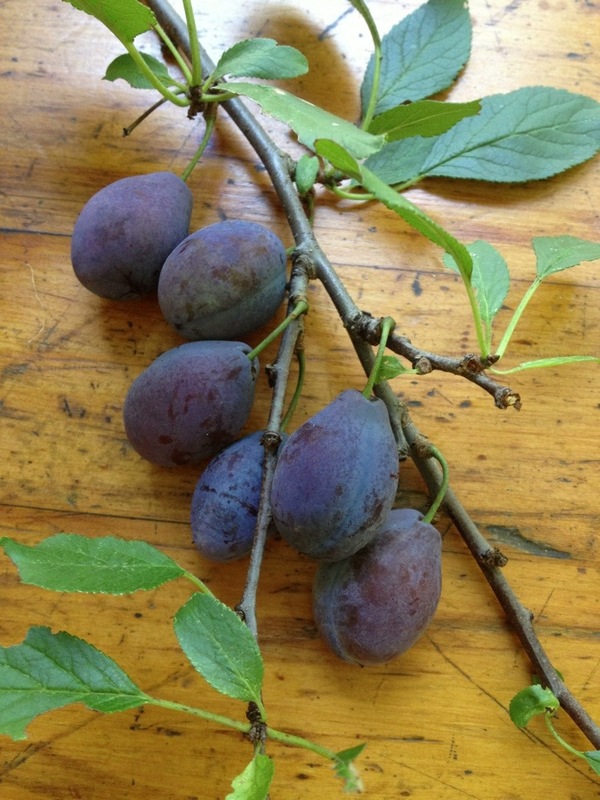 Can’t wait to set a table with these. 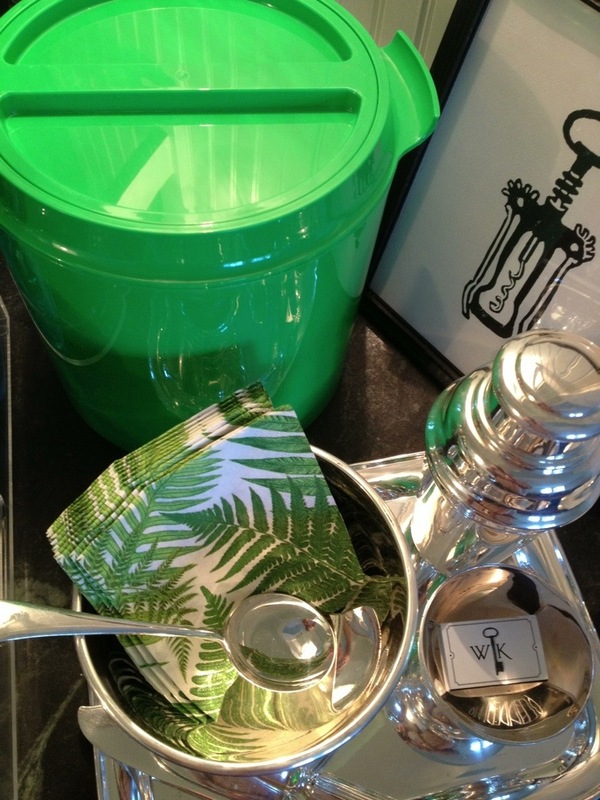 I found an apple green vintage ice bucket to add to our little bar set-up on the counter. Nice and big, as it holds almost an entire bag of ice. 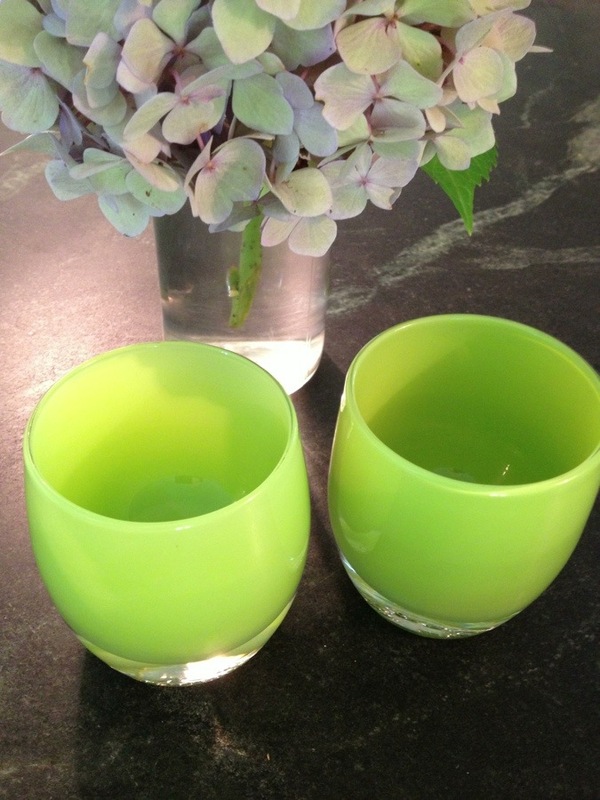 A green glassbaby collection has begun here too. We have been lighting them each night on the back porch when we light a fire and have dinner. 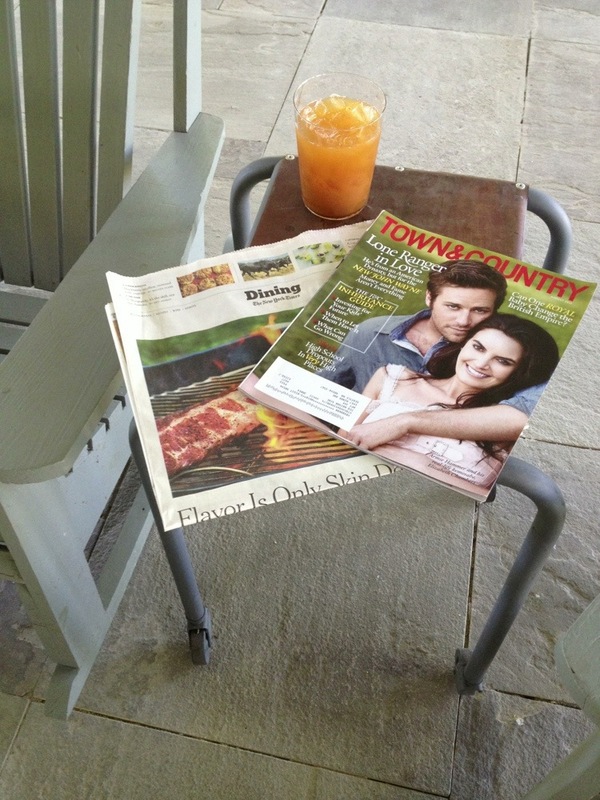 We found these repurposed little side tables in Hudson that are on wheels. Perfect for the back porch. More on these in a later post. 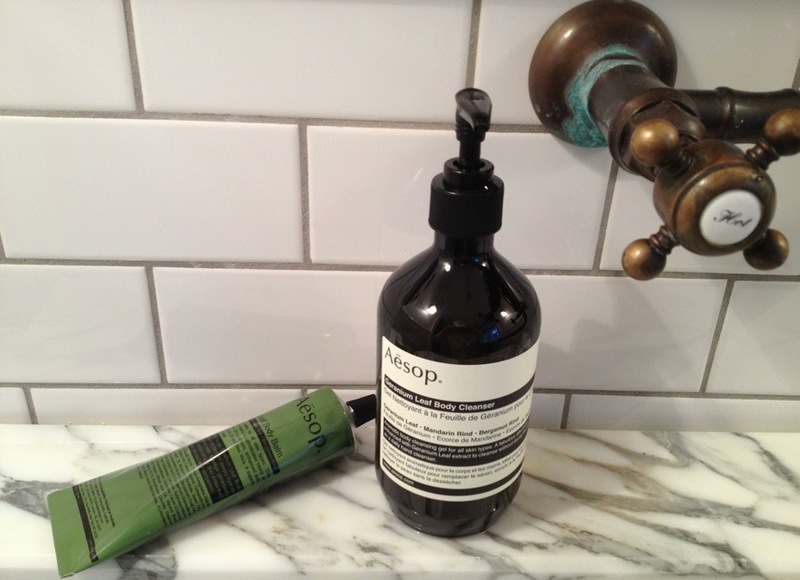 Testing out a new line in the upstairs bathroom to possibly bring into Watson Kennedy. Bit by bit, this incredibly sweet farmhouse is becoming our part-time home. 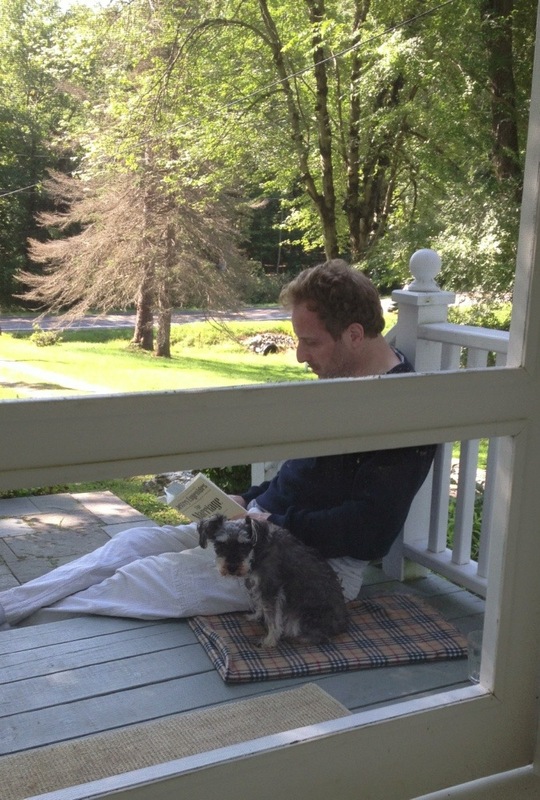 Filled with much love–lazy days, reading, napping, cooking. And just being. Oh, and Bailey likes it quite a bit too. 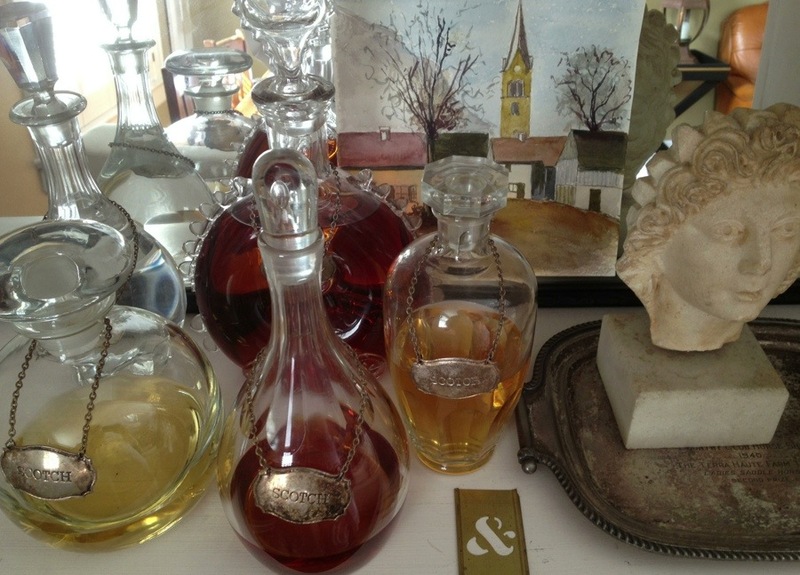 We had such a fun day yesterday vintage shopping for the house and for the shops. Hudson is an incredible town filled with vintage galore, so we knew it would be an easy afternoon of finding lots of treasures. My tip for when you are out looking at antique shops, flea markets & tag sales is you are most often times going to get a screaming deal if you buy sets of things that are not complete. Yesterday we scored this amazing English ironstone set of plates, bowls, tea cups and serving pieces for a fraction of the price because the set was broken up. We were really on the hunt for plates, so when I spotted the grouping my eyes went right to those. Since the set was not complete, it becomes much less desirable to most, but by my way of thinking a winner–an incredible deal at under $100. 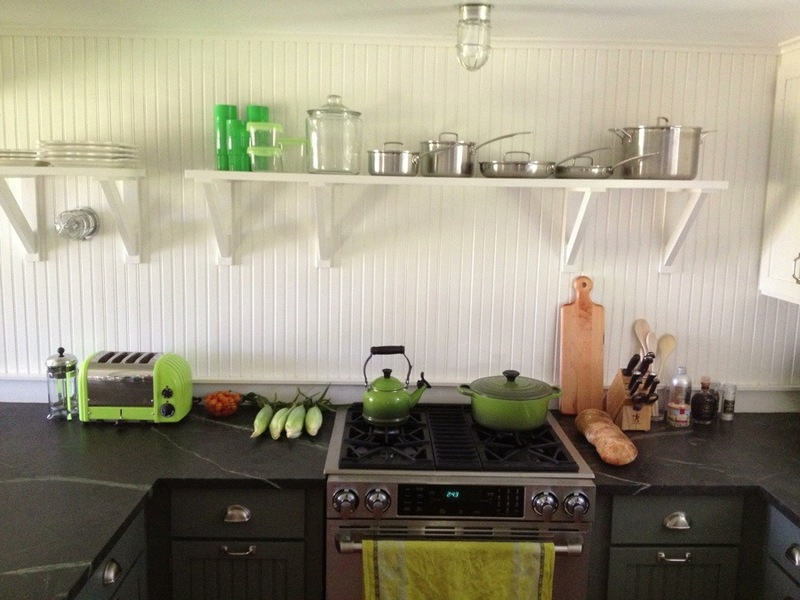 We love having different sets of things so we can change up what we are using often. The serving bowls used as soon as we got back home filled with a treat to have with our cocktail on the back porch.